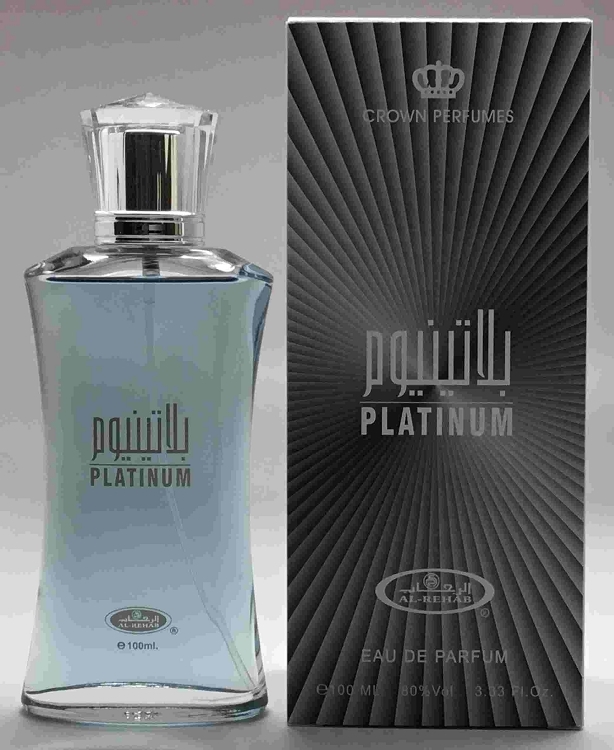 Perfume oil Platinum by Al-Rehab is a floral-woody fragrance for men, which has an elegant subtle freshness. Platinum Al Rehab opens in the top note with rosemary, petitgrain, lavender and neroli - a slightly fresh top note with spicy and sensual notes. The heart offers galbanum, clary sage, geranium and jasmine. The base is warm and soft with amber, sandalwood, oak moss, vetiver and cedar. A very elegant, masculine fragrance full of different facets that have a nice interplay.